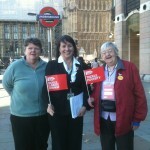 Today Christian Aid held a lobby of parliament. Rev Jesse Jackson addressed a packed hall then I had the chance to have a chat about climate change and a nice cup of tea with some members of Belvedere Congregational Church. Nice ladies they were too. We also had the comprehensive spending review today which I believe heralded the end of social housing as we know it…more on that tomorrow. Lesnes Abbey Woods is one of the loveliest places in the area. 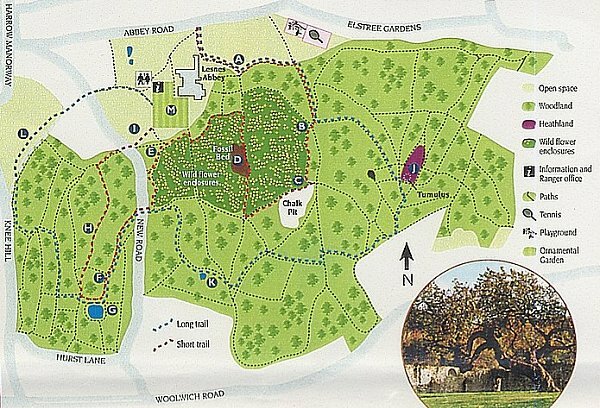 I often walk my dog there and I look forward to taking my granddaughter there for nature walks when she is a bit older. I am very please to hear that the Big Lottery has awarded a local non-profit organisation the funds to launch a three month project. The organisation called Embrace will use the money to hold free activities at Lesnes Abbey Woods until January 29 next year. The next event will be a nature photography walk on October 30 from 1pm to 4pm. Glade clearing, which involves cutting down shrubs and pulling up invasive plants, will take place on November 6 from 1pm to 4pm. Future activities will include a fungi walk, felling trees and wooden fence making. For information about other events and to book a place, email john.c@myembrace.org or call 020 7274 9450 or 07984 662996. 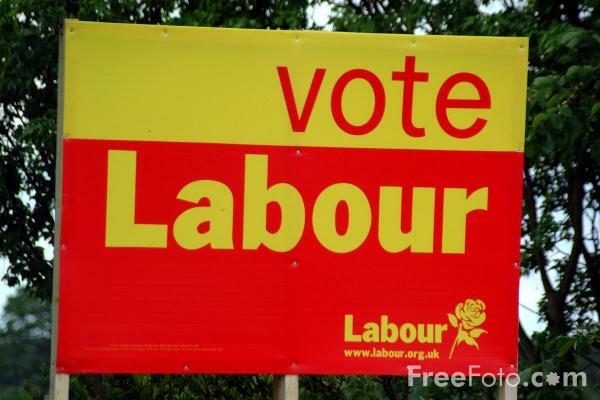 I read today on Left Futures blog that yesterday the NEC decided to cease its investigation into the tampering of the postal vote ballot box containing Erith & Thamesmead members in the parliamentary selection last year. Its disappointing that despite 2 postal voters from this constituency making formal complaints to the police regarding the criminal damage to their ballot papers no action was taken by the police. It seems that the culprit will never be identified but I am happy to say at least some lessons have been learned and selection proceedures have been reviewed so hopefully no other CLP will have to go through the ordeal that Erith & Thamesmead went through. The Unite Parliamentary Staff Branch is urging the Independent Parliamentary Standards Authority (IPSA) to create an Interns Fund to help MPs comply with National Minimum Wage (NMW) law and pay interns a Living Wage or London Living Wage. 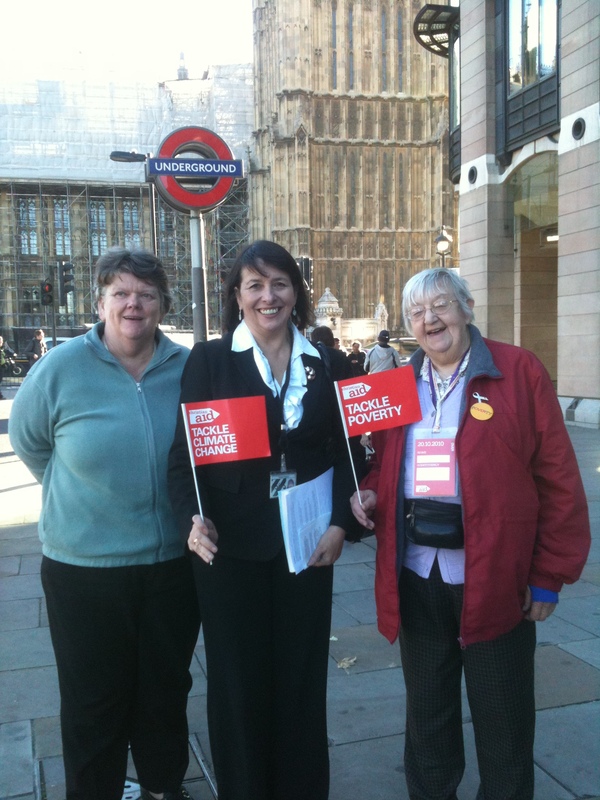 The campaign is backed by 65 MPs who have signed Early Day Motion 569 which calls for the establishment of the fund, including new MP for Erith and Thamesmead Teresa Pearce – a former Inland Revenue staffer and tax advisor. IPSA’s original rules required all those engaged in Parliamentary work to have a contract of employment in order to comply with NMW law. Unfortunately this approach was not backed up by a dedicated fund and instead MPs’ staffing budgets were cut. Following consultation, IPSA has today backtracked and ruled that MPs will now be able to submit claims for incidental expenses of interns out of their reduced staffing budget if they have a signed agreement. The union branch believes this is a backwards step for Parliament given that in practice many parliamentary interns are expected to work certain hours and perform certain tasks. This means they are defined as ‘workers’ and should be paid at least the NMW. Websites such as W4MP provide ample evidence of MPs from all political parties advertising for long term internships with set tasks and responsibilities. The union branch has also referred IPSA to the Reading Judgement in December 2009 against London Dreams Motion Pictures, which found that workers engaged on an expenses-only basis are entitled to payment at least in line with the NMW. “House of Commons guidance provided to MPs in the past made it clear that interns who are obliged to perform certain activities in accordance with the employer’s instructions are likely to be considered ‘workers’ under the law and should be paid at least the National Minimum Wage. “We know that parliamentary interns have been laxly monitored by the House authorities in past years and that many have been exploited. IPSA needs to recognise that there is a standard three-month unpaid internship model adopted by MPs that is considered a prerequisite to getting a paid job in Parliament and for which National Minimum Wage law should apply. There is a report on the back page of today’s News of the World which has a headline “TAXMAN GOES TO WAR ON FOOTBALL” . The truth of this story is that HMRC who are public servants are going to get the tax owed to us ( the public) from the clubs. 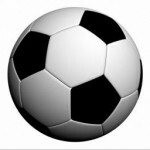 The article itself is a fairly written piece by Dan King which sets out the ways that Football Clubs currently avoid paying their fair share to the country’s coffers. I could not agree more. Some clubs have always made sure that the directors, shareholders and players get paid in full whilst the money they hold in PAYE deductions or in VAT from sales to supporters has been used as cash flow instead of paying to the treasury which in turn helps fund the schools and hospitals used by the rest of us. Some of the comments about this story added on the NOTW’s website seem to be saying that HMRC are acting totally unfairly and its a terrible way to treat the clubs. Well that would be true only if you think paying VAT, PAYE and National Insurance is optional. In reality the taxman has been pushed around by football clubs for years and is now pushing back. Never happy about clubs’ habit of using the taxes due as an interest-free overdraft, HMRC lost its “preferred creditor” status with the introduction of the 2002 Enterprise Act. Previously HMRC had a right to be paid out before any other creditors when a company went into administration by right of the Crown Preference Act. This right was abolished by the 2002 Enterprise Act which meant HMRC had to join the scrum behind “football super creditors” when a club went bust often only geting around 5-10% of the debt due. This is not company law but is a football rule set by the Football Association, the Football League and the Football Association Premier League and it means millionaire players, shareholders and other clubs get paid first and the the taxman ( which in reality means you and me) goes to the back of the queue. This issue is back in the news because HMRC lodged an appeal against Portsmouth FC coming out of administration. I am not sure if this tactic is the right one but HMRC have taken it to protect the £13million they believe is owed to the Treasury by Portsmouth and we can not blame them for that. It may be that Portsmouth is no worse than some other clubs and that HMRC are singling them out “pour encourager les autres” . If so lets hope it has the desired effect. If we are all in this together and public services and the unemployed have to feel the pain of cuts then I can not see why the Football Industry should not pay what they owe like the rest of us do. This is only the start….. Comments Off on This is only the start….. There is a good article in the Morning Star, wish I had written it myself as it sums up what I having been saying, to anyone who will listen, for the past two weeks. Ken puts it better than I did though. 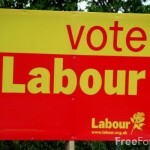 It’s the Erith Forum AGM on Wednesday night at 7.00 pm at the Vets Club in Park Crescent. I would encourage Erith residents to go as it’s a friendly informative meeting which discusses the future of our town. 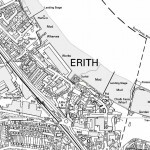 Below I list some things you may not know about Erith’s past. 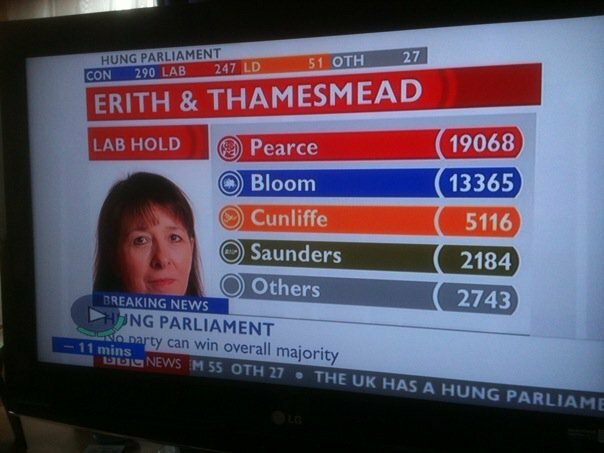 Erith is a saxon word. 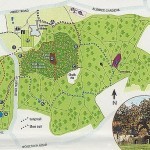 The Anglo Saxons settled this area after winning the Battle of Crayford in the year 457. Erith played a part during the reign of Henry VIII (1509 – 47) Henry is believed to have spent a night here on his way to France . Part of his naval dockyard was founded at Erith showing the importance of the area. Henry’s famous warship, Henri Grace à Dieu or ‘Great Harry’, was fitted out here in 1515. Erith was famous in the 17th & 18th centuries for smuggling. 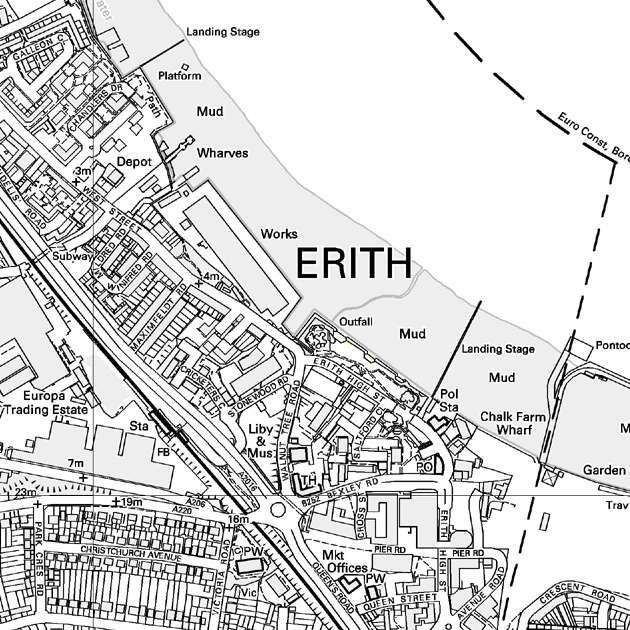 Erith played a big role in the famous 18thcentury importer and exporter the East India Trading Company. The company docked its ships at Erith to load and unload cargo before setting out on its trips to the far east and before returning to London with the remainder of their goods. The reason there are roads in Erith called Friday, Crusoe and Selkirk is because the real life mariner Alexander Selkirk ( upon whom Robinson Crusoe was based ) came back to UK after his shipwreck arriving at Erith on 14 October 1711. During the First World War Erith was an extremely important area for the manufacture of guns and ammunition, largely due to the presence of the larrge Vickers works in the Fraser Road area. In the Second World War, Erith found itself in the thick of the conflict, being directly on the German bombing routes from Europe to London, and also because of the nearby armament factories. The inventor Edward Butler lived in Erith and invented a three-wheeled car called the Butler Petrol Cycle in 1884, considered by many to be the first British car. Linda Smith (29 January 1958 – 27 February 2006) was an English stand up comedian and comedy writer. She was born in Erith and was a regular Radio 4 panellist, being voted “Wittiest Living Person” by listeners in 2002. Wendy Cope (born 21 July 1945) in Erith is an award-winning contemporary English poet. 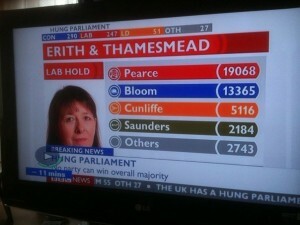 And here are the numbers…. Today is the last day of the campaign. people and made some new friends and I have realised the following things. People can be very kind and helpful and with the personal bereavements I have had over the last year the kindness of strangers is a wonderful thing. Some people will email you abusive messages but these people always remain anonymous. I think these people are sad as if they are willing to say something to me they should not be ashamed of putting their name to it. I would nt have missed this experience for the world. Thanks to all my friends and family, I wish my Dad were still here.